Right now, I'm in my early thirties and learning the ins and outs of this thing called "working mom." I easily doubt myself and often fight the temptation to put my joy on hold for a season to come instead of enjoying the now. 10 years ago on April 17, 2007, I went through a major surgery to rid my body of cancer. I was 20 years old and had no idea how sick I was until coughing up blood in my dorm on Easter Sunday. (You can watch my story here.) After my parents traveled to Tulsa to take me back home to Dallas, I underwent one of the most difficult weeks of my life. Prior to the surgery, the enemy threw punch after punch to knock me down. Then the day of my surgery came and I was wheeled into the surgery room. All of the bright hospital lights & shiny silver knives on the table next to me. I asked if I could keep my bible with me on the table and the doctor agreed. April has a special place in my heart. As does Easter. It was in this month that I suffered and recovered a disease that kills lives everyday. For whatever reason, God drew a bloodline around me and wouldn't let me die at 20. Then fast forward two years later, April 2009, I got married to the love of my life. Someone I didn't even deserve. Who had prayed for me and believed for my healing when I overlooked him for years. Fast forward to April 2011, Easter Sunday, I was in labor with my baby girl and gave birth on the following day, April 25. And now here I am, April 17, 2017, 30 years old and pregnant with my baby boy. God has a way of turning our place of pain into our place of rejoicing. I pray that my story brings you encouragement to believe that the same hand that allows pain and suffering is faithful to bring joy and healing. IN THE SAME PLACE! To God be the glory for reminding me yet again that He is the Resurrection and the Life. He will always give us beauty for ashes. The oil of joy for morning. And the garment of praise for the spirit of heaviness. The same God that did it for me, will do it for you. When I hear or think of this word, I am immediately transported back to a season of my life during college where everything and everyone that I trusted in was completely stripped away. Friends that I'd know since my freshman year all of a sudden acted like they didn't know me. My family that I love and trust was miles away. 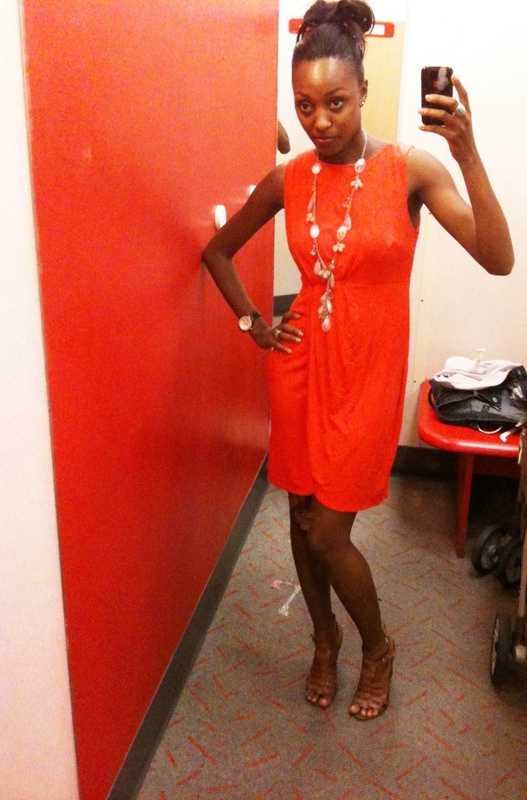 My image, the clothes, shoes, and hairstyles that I enjoyed and felt somewhat defined me where no longer appropriate for my current season. I was pregnant with change. See, when you're pregnant, you can't just wear the things you used to wear and do the things you used to do. Your diet changes. Your weight increases. Those high heeled stilettos that you used to wear all over town are no longer cutting it. It's time for the flats, baby. Agape. Unconditional, Christ-like love. This is what I experienced in a beautiful way today. I arrived at the door of my church hoping for a miracle. Nothing life-changing, or so I thought. 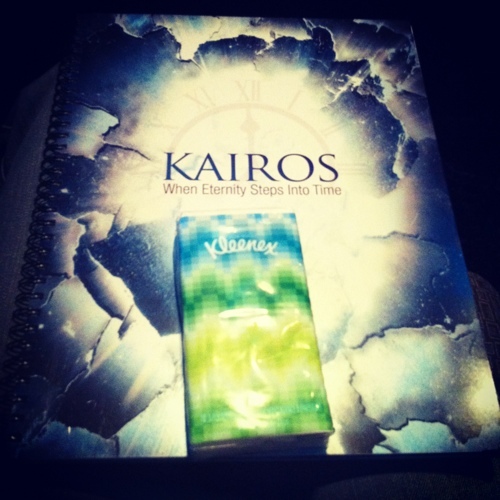 The deal was, I wanted to attend the KAIROS freedom ministry conference and had no idea how I could make it. It's 9-5. It's Thursday and Friday. It's adults only. So, as the wife of a working man and mother of a toddler...eh, it just wasn't happening. But, I told the Lord a few months ago that I wanted to go and asked Him to make a way. I had since forgotten about my small request and was busy with life up until this week. At the last minute, God showed up and provided a way for me to go. The only problem was, it appeared that the conference was full and registration was closed. Still, I got dressed and ready for the conference, determined to just sit outside of the sanctuary and listen if need be. So, as I walked in, I replayed the speech in my mind of how I would ask the volunteer to put me on a standby list for if any registrants didn't show up so I could take their spot. When I arrived at the registration table, I gave my speech. I've experienced situations where you are reprimanded for things like this, so I braced myself for the worst. And then, love showed up. The volunteer smiled and told me that it wasn't a problem at all and pointed to a sign up sheet where I could register on the spot. She handed me my conference package, which included a beautiful conference workbook, Kleenex (you know it's gonna be good when they hand out Kleenex in your package!) and a map to locate nearby restaurants for lunch. Now, this may seem like no big deal to you. But to me, this was everything. It was as if God was expressing His love for me by welcoming me in even when I didn't deserve it. Even when I was late in registering and didn't know how it would all work out, He showed up in that small way. And that was just the beginning of a powerful day of freedom ministry and worship. Thank you, God, for showing your love towards me in this small way. And thank you for doing the same for my friends that are reading today. You truly left Your beauty mark on my heart. And I am so thankful. So, what are you thankful for this evening? How did God show up in your day today? Let me know and express you gratitude for His goodness in a post below! I look forward to sharing with you tomorrow of God's goodness through the Beauty Marked 30 Days of Thanksgiving series! A little over a year ago, I made the choice to press in & spend some quality time with God and really delight myself in Him. I read though the Word, prayed and made it a point to seek Him more than usual. I was pregnant at the time, and my husband had to work that Saturday, so I decided to spend some time with my mom and grandmother. We met up at a local mall around 10 am, not long after I had spent my time in prayer. We weren't really shopping, we just walked around and enjoyed each other’s company. Well, as we were leaving, I felt an urge to stop by the Nine West store. It was out of the way from where we parked, but my mom and grandmother agreed to press on with me anyways. As I walked into the store and looked toward the sale section (of course), I couldn’t believe my eyes. A very prominent speaker and Bible teacher that I admire greatly and had always wanted to meet was shopping in the store with her young children and assistant. I was so excited that I seemed to be drawn to her like a magnet! I joyfully approached her and with a large, and probably silly-looking, smile I asked, “Mrs. So-and-so, can I have a hug? !” She graciously smiled back and gave me a warm hug. I went on to tell her how much I admired her ministry and had just read about her in the NY Times the night before. After kindly juggling the task of watching her children and listening to me, she said a few words to me and exited the store. Now honestly, I could care less what shoes were on sale after that! I know without a shadow of a doubt that God led me to that store not only to give me a desire of my heart (Ps. 37:4), but to reveal to me that when I press in, despite the inconvenience it may seem to cause, there is a blessing on the other side. This week, let's keep this simple principle in mind: When you press, you get blessed. Abuse: improper or excessive use or treatment; misuse. Every day, products and goods are created all over the world for a specific purpose. Forks are made to eat with. Chairs are made to sit on. Computers are made to type on and create documents and images. But what if you took your laptop and tried to cook your lunch on it? Imagine becoming angry when your chicken and vegetables don't sauté. That would be completely ridiculous right? Well, often times, that's what we do with our own lives. Each of us has been created for a specific purpose. And yet, we spend year after year in abuse, misusing the gifts and talents that God has given us by seeking after whatever we want to do and be. Sure, a fish may want to be a roaring lion, but outside of the water it won't survive! This year, we MUST discover and devote our lives to God's purpose for our existence. There is no more time to be a fish out of water. If people around you have been holding you back and forcing you into a box that your "circle" doesn't fit in, let them go! God is doing a new thing in our lives! It's not going to be a bed of roses, and along the journey to purpose there will be many inconveniences and pressure, but we will come out of the fire like gleaming, pure gold. Today, make the decision to seek God like never before and allow Him to reveal to you your true purpose. Not your plans. Not what your parents, husband, friends or professors always said that you would be. God's divine purpose for your existence! He has such great things in store for us! You won't even recognize yourself by this time next year! You are equipped with God's power to do great and mighty things! I have prayed for you this morning and called many of you out by name. I pray that you will be all that God has created you to be, and never misuse the gifts that are inside of you. *This post is inspired by the Sunday morning sermon by Bishop T.D. Jakes from today. Every Sunday on my Instagram account (beautymarkedmom), I write a "Sunday Recap" post from what I learned in church that morning. I have encouraged others to do so, and a number of IGers have joined in and shared what God spoke to their hearts in their Sunday morning church service. It's a great way to review your notes and share what God has spoken to you. If you are on IG, join in and add hashtag #SundayRecap to your post! If you're on Twitter, you can do the same there too! It is great to see what God is speaking to His people around the world. If you're reading this post right now, you have a testimony. God has brought you through the storms of life time and time again. He was with you on the operating table. He was with you at the isle. He was with you in the wilderness. He was with you at the highest mountain. And in all that you've been through, God wants you to know that HE is the one that brought you to where you are today and that all of the things that you've been through have built the tools and weapons that you need to withstand through the trials and tests of life. When the enemy comes to accuse you and condemn you, bringing up your past and telling you that God is not going to come through for you this time, you can stretch back your faith to all of the times that God WAS there and when He DID bring you through. You can stand strong with your head held high, look your accuser square in the face and say, "There is NO condemnation for those who are in Christ Jesus! I am more than a conqueror through Christ. NO WEAPON formed against me shall prosper!" This week, stand strong in your testimony. Know that you are redeemed through the Blood of Jesus. That you are justified, "just-as-if-I'd" never done it. Don't allow the enemy to keep beating you up and oppressing you with your circumstances, past mistakes & failures. Enough is enough! The enemy is under your feet! Speak the Word and hold fast to your freedom in Christ! And remember this: Your greatest test gave birth to your greatest testimony. You. Have. The. Victory. In this video, I share the purpose of this blog, as well as my testimony...and introduce you to my baby girl! Hopefully you will find my story encouraging and see the heart behind my passion for women's ministry and re-defining beauty according to God's Word. Thank you for stopping by and I look forward to sharing with you again soon! Ever since I was in college I have been posting scriptures all throughout my living space. It began as a necessity when I was struggling through a difficult season of my life where the negative thoughts in my mind were so troubling that I had to physically surround myself with the Word in order to make it through each day. I remember friends and acquaintances coming into my dorm and saying, "What's up with the scriptures all over the walls?" I would try to explain to them my reasonings but they usually just shrugged their shoulders or laughed a little to themselves. Nevertheless, I kept myself surrounded by the Word of God and always knew where to turn when I was going through a personal battle in my life.